Thank you so much to the fabulous Minotaur Books for providing my free copy – all opinions are my own. Ellery Hathaway is the soul survivor of a string of murders at the hand of a serial killer, Frances Michael Coben. She was abducted and held captive, but then, days later, rescued by FBI Agent Reed Markham. Now, in present day, she’s an officer in the small town of Woodbury, MA. No one in this town knows who she is or what happened in her past. 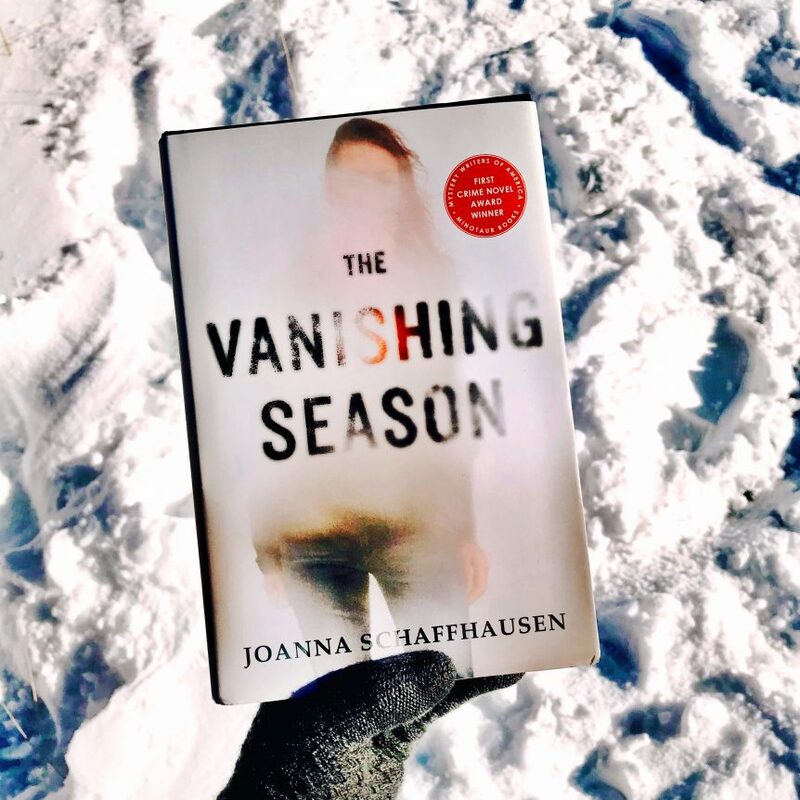 When three people disappear over a three year period, all around her birthday, she starts to think the cases are connected and someone knows her secret. Unfortunately, her superiors don’t take her seriously so she calls the one person that might help, Agent Reed Markham. This was the December pick for Instagram’s @blackheartreads and boy was it a fun read! To be honest, this is not a typical type of thriller I go for, but there was something about this book that drew me to it! Maybe it was the gorgeous cover?!! Let’s just say I read it in one sitting. I thought the characters of Ellery and Reed were very well-developed. I felt like I got an accurate sense of who they were. The main reason why I’m picky when it comes to “cop vs killer” type books is I find the dialogue cheesy at times. While that works for me when I watch Criminal Minds or SVU, it does not work for me in a book. I didn’t get that at all when I was reading THE VANISHING SEASON. The writing style in this case totally worked for me. I did guess the ending somewhere around the middle but it did not stop me from wanting to know more. Sometimes the “why” is just as important as the “who”.